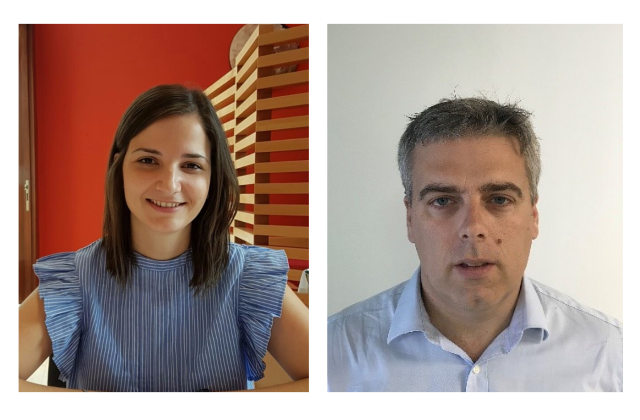 BSQ Solar appoints two new staff members, Dr. Tania Rodríguez and Dr. Sebastian Caparrós. Dr. Sebastian Caparrós joins BSQ as a Senior Consultant for CPV Technology. Sebastian has worked for more than 11 years in CPV technology. He previously worked as a project manager of CPV projects at Abengoa from 2007 to 2016. There he led the CPV technology development efforts. He is vastly experienced in several key areas of the technology such as optics, having spent 2 years in the Institute of Optics at the University of Rochester and III-V multijunction solar cell technology, also accredited by 2 years working at the National Renewable Energy Laboratory of the US Department of Energy. He also has experience in the industrialization of processes for high volume production and working with best in class OEM suppliers. He has led the participation of 5 publicly funded R&D projects and holds 13 patents in several solar technologies. He holds a PhD in Chemical Engineering from the University of Huelva. Dr. Tania Rodríguez joins BSQ as a Business Development Manager. She previously worked as a Control Engineer at the Technology Development department at Siemens Gamesa. She has also worked for over 6 years as a researcher at the Systems Engineering and Automatic Control Department of the University of Valladolid. Her research focused on process optimization to achieve optimal operation of industrial chemical processes based on economical and environmental criteria. She has participated in 7 publicly financed research projects by both European and Spanish. She holds a master degree in Process and Systems Engineering from the University of Valladolid, and another one in Instrumentation and process control from the Repsol Technology Centre in Madrid. She graduated as a Chemical Engineer at the University of Valladolid and holds a PhD in Industrial Engineering from the same university.